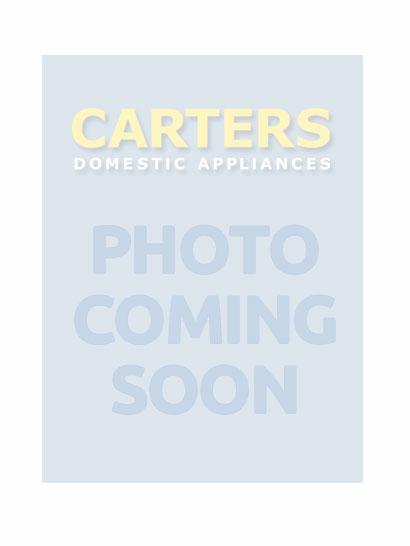 Gentle storage for ultimate enjoyment. 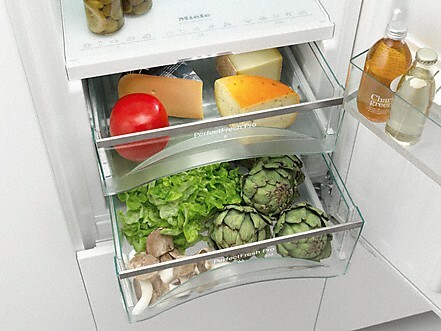 A perfect match: food can be stored in ideal micro-climates in the moisture-regulated drawers. 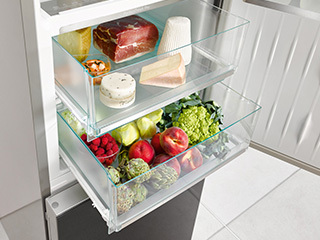 Gentle storage for ultimate enjoyment In the humidity-controlled MasterCool drawers, your food is stored in individual micro-climates: The temperature is approximately 0 ºC and the humidity is perfectly adapted to suit all types of food. Your food - especially fruit and vegetables - stay fresh for longer. 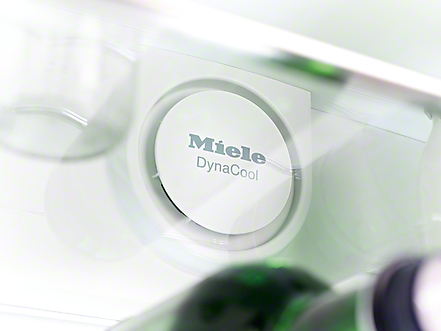 Fresh for up to 3 times longer: The perfect storage temperature for fruit, vegetables, fish, meat and dairy products. 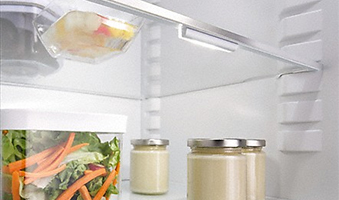 Longer storage life for better quality and flavour With PerfectFresh your food remains fresh up to three times longer. The temperature range between 0°C and +3°C offers ideal conditions for significantly longer shelf life of meat, fish and many dairy products. In the humidity-controlled compartment, fruits and vegetables have an optimum climate with an ideal temperature and high humidity with a full load. Nutrients, taste and consistency are maintained for a long time - for more enjoyment. Uniform distribution of temperature: a fan provides optimum circulation and distribution of cold air. Perfect storage conditions for food and wine In addition to temperature, air humidity is also an important factor for perfect storage conditions of food and wine. With Dynamic cooling, an integrated fan uniformly circulates the air, thus optimally distributing the temperature and air humidity.